CheriB Designs: Tea Party Pop Card! 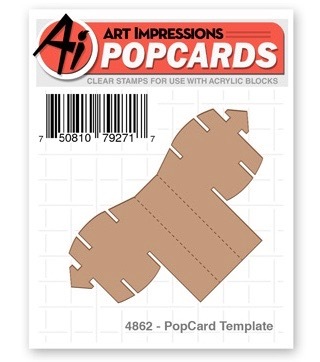 It's the second week of the "Third Dimension" Challenge and the Release of the new "Pop Cards" over at Art Impressions! 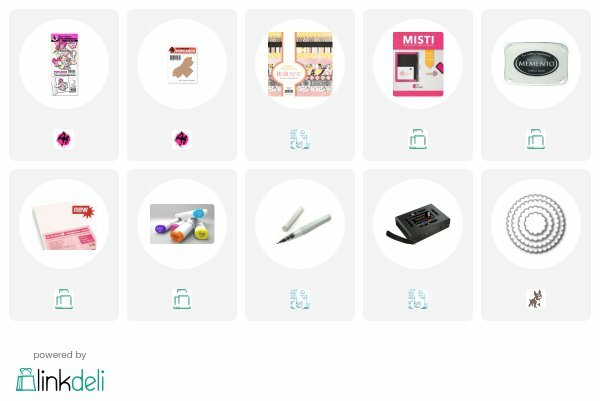 I love the interactive element to the Pop Card Line! 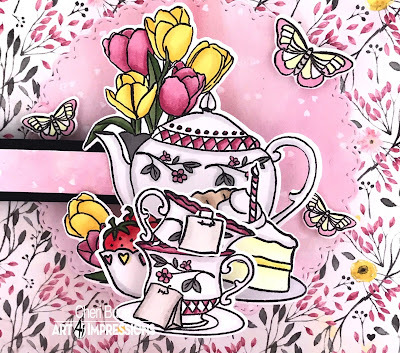 I am using the new "Tea Party Pop Card". On the front of my card I used the sentiment, tulips and butterflies that are part of the set. You're card will fold flat which is great for mailing! 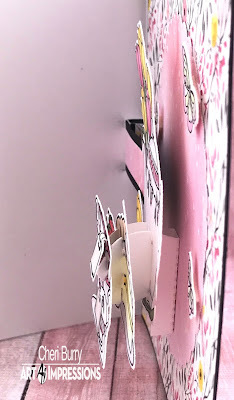 Then when you open the card the image "pops up" for a lovely 3d effect! All the pieces come in the set along with the sentiment and dies to cut out your pieces. 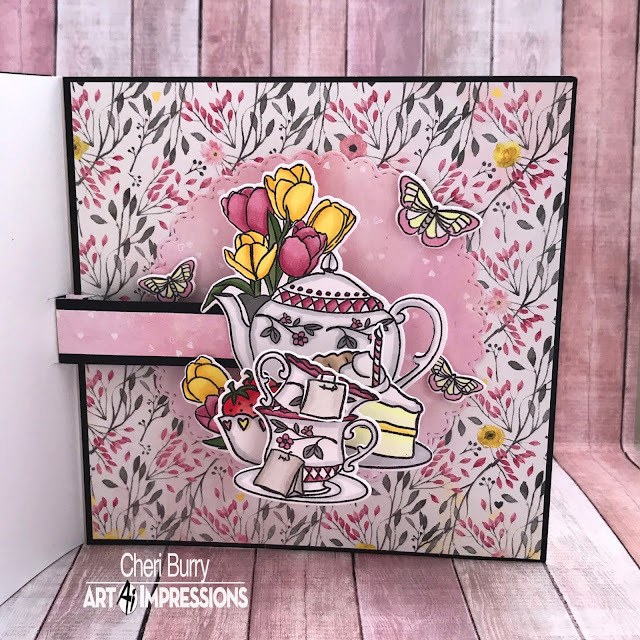 I chose paper this time from the Bo Bunny Petal Lane 6x6 collection. I love the soft and feminine colours that go perfectly when you think of a tea party! The only extra thing you need to create "Pop Cards" is the "Pop Card Template". 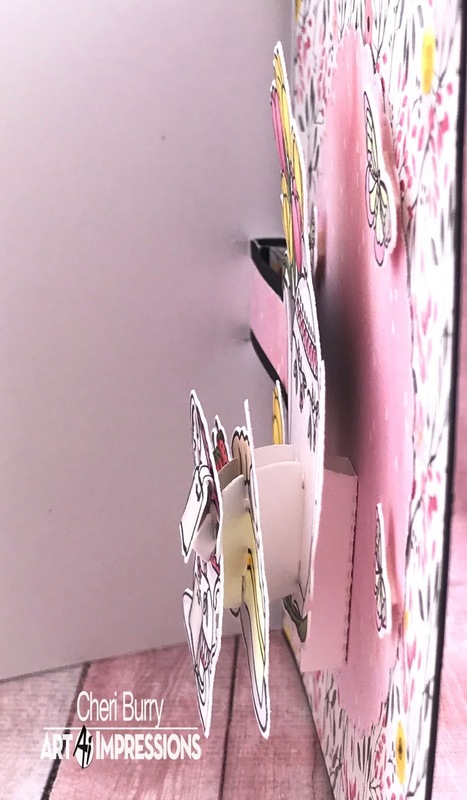 Here you can see how the "Pop Card Template" works. After colouring and cutting out your images you add them to the template which allows everything to lay flat and then "pop up". Don't forget to head on over to the Art Impressions Blog and play along with our current Challenge "Third Dimension"
Love the colour combo and the tea set is super cute! Perfectly coloured!!! Love it my talented friend! So beautifully coloured, Cheri! Love the papers you chose. Such a stunner! I love your paper choice on the front. I could see this being the perfect Mother's Day card.